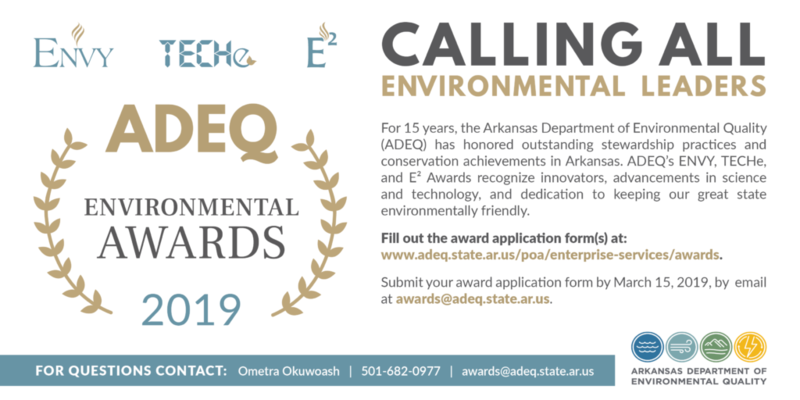 NORTH LITTLE ROCK—The Arkansas Department of Environmental Quality (ADEQ) is seeking the State’s top environmental leaders to apply for this year’s ADEQ Environmental Awards. Businesses, nonprofits, and government entities who are working to help achieve a vision of a healthy environment and prosperous economy across the state are encouraged to apply. For the past 15 years, ADEQ has recognized environmental leaders from around the Natural State. The ADEQ Environmental Awards is one of Arkansas’s most prestigious environmental recognition programs. The awards highlight what Arkansas companies are doing in areas of sustainability, innovative technology, and environmental stewardship. This year’s award program will include three prestigious awards—the Arkansas Environmental Stewardship (ENVY) Award, the Arkansas Environmental Technology (TECHe) Award, and the E• Energy Award. ADEQ honors exceptional environmental projects and programs in Arkansas with the ENVY award. 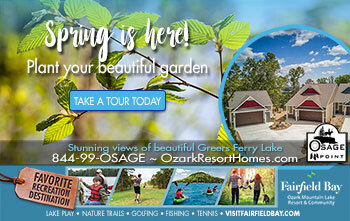 The award showcases the work of citizens, businesses, industries, farms, and government agencies that are protecting and enhancing the environment in extraordinary ways, demonstrating that they deserve to be the ENVY of Arkansas. 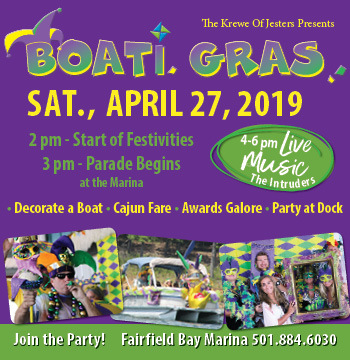 The TECHe Award recognizes the use of new developments in technology or the use of technology to protect our resources or improve the environment. The E• Award honors organizations that demonstrate outstanding leadership by implementing forward-thinking initiatives in areas of energy efficiency, advance energy, and renewable energy. Additionally, the ADEQuest Science Award is given to a student who has made strides in science and protection of the environment. If you would like to apply for an award or nominate an environmental leader in your community, then please contact Ometra Okuwoash, ADEQ Program and Outreach Manger, at 501.682.0977 or [email protected] Additional information about the awards and application forms can be found online at www.adeq.state.ar.us/poa/enterprise-services/awards/.